Gives the legs a toned and beautiful look. 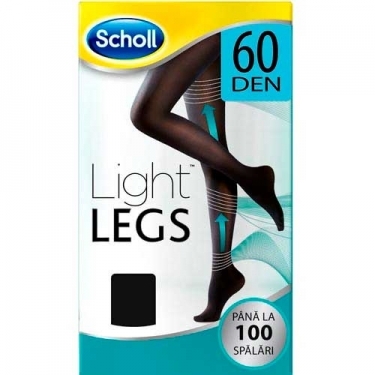 DESCRIPTION: Scholl Light Legs 60Den Black from Dr. Scholl are tights that help stimulate circulation and give a perfect shape to the legs. Compression tights with technology Fiber FirmTM technology (10 mmHg in the ankles, 5 mmHg in the twins and 3.5 mmHg in the thighs), designed to give a very soft sensation, making them comfortable to wear throughout the day. Color black (60 deniers). Use from morning till night for a feeling of comfort all day long.